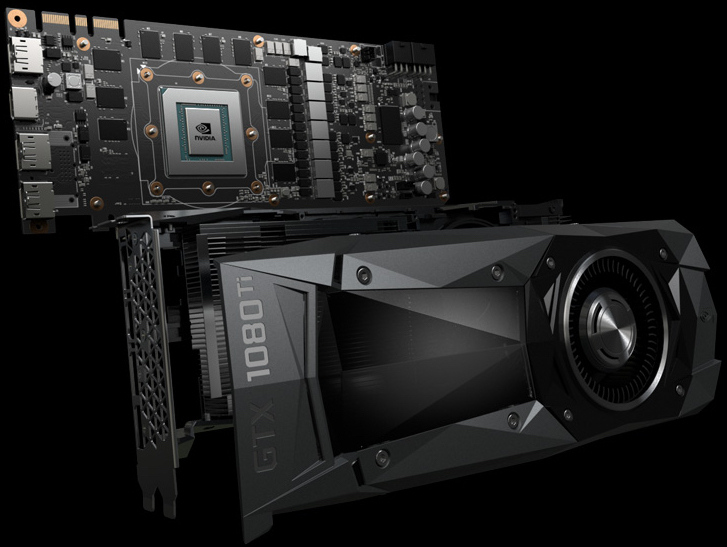 The latest details surrounding NVIDIA’s flagship GeForce GTX 1080 Ti graphics card have just leaked out over at Videocardz. The latest details confirm the specific Pascal SKU which the new graphics card will utilize to deliver premium 4K gaming performance. There’s no doubt that NVIDIA’s GeForce GTX 1080 TI is one fast card. It’s their fastest GeForce graphics card and is also the fastest GPU in the world. 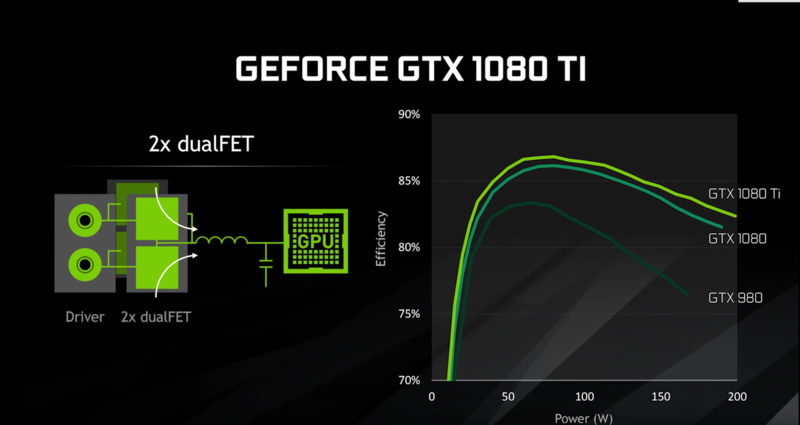 The performance metrics shown by NVIDIA indicate that their GeForce GTX 1080 Ti is 35% faster than the GTX 1080. And that’s just the reference variant, custom models would be way faster. So we know that the GeForce GTX 1080 TI packs the GP102 GPU but it’s a different model compared to the one on NVIDIA Titan X. The GeForce GTX 1080 Ti is based on the latest GP102-350-A1 GPU which is slightly different than the GP102-400-A1 GPU. ASUS, EVGA, Zotac, Inno3D and MSI have also teased their new cards which will be available during launch day. 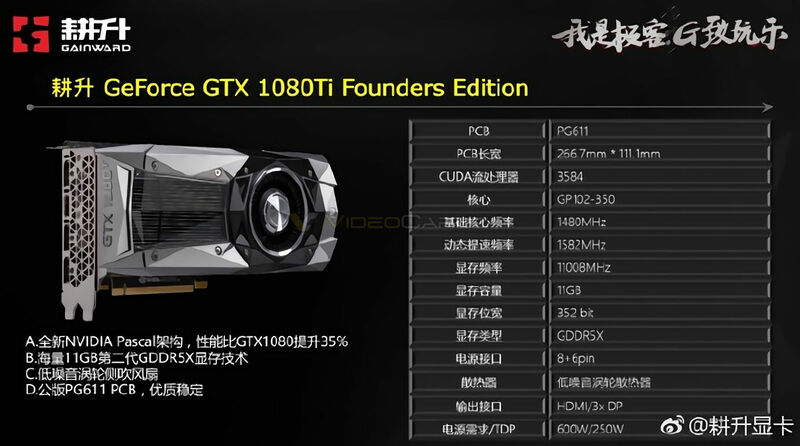 NVIDIA has gone all out with the specifications of their grandest graphics card to date. The NVIDIA GP102 Pascal GPU packs 12 Billion transistors and has 6 graphics processing clusters of which two come feature disabled SMs. This adds up to a total of 28 SM units with 128 cores each. The GeForce GTX 1080 Ti features 3584 CUDA Cores, 224 Texture Mapping Units and 88 ROPs. These are clocked at a base clock of 1480 MHz and boost clock of 1582 MHz which can go as high as 2 GHz with overclocking. The Pascal cards are built to overclock like crazy and custom models will further boost the clock rates on availability day. The Titan X (P) used 10 GB/s models while the 1080 Ti makes use of the new 11 GB/s memory chips which results in a cumulative bandwidth of 484 GB/s that’s going to be on par with SK Hynix’s HBM2 memory launching in Q2 2017. The card is powered by a 8+6 Pin power configuration and has a rated TDP of 250 Watts. 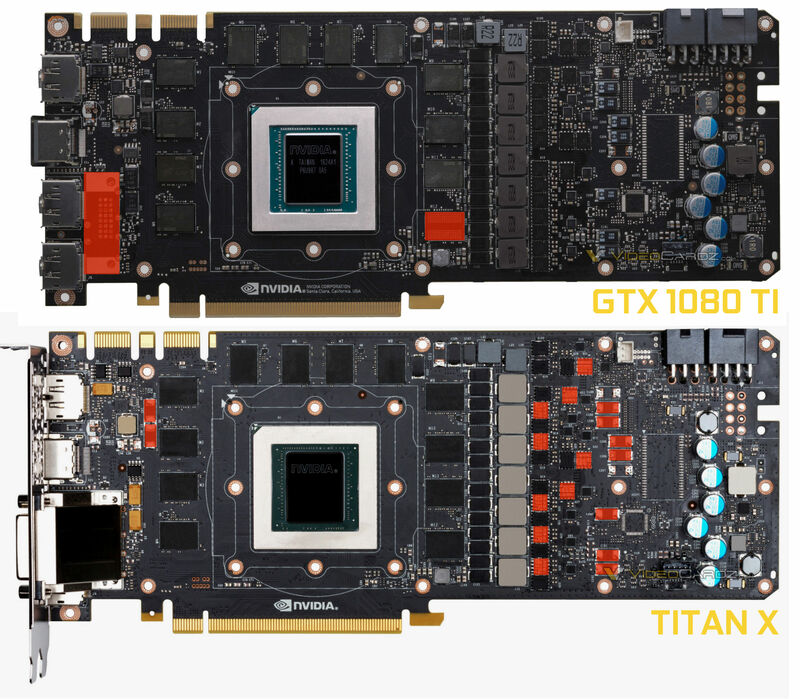 The most interesting part of the story covered in the Videocardz article is the PCB comparison between the GTX 1080 Ti and Titan X. When comparing both PCBs, we see that the boards are very similarly laid out but if we look closely, we can spot that the 1080 Ti has a more electrically powerful PCB. 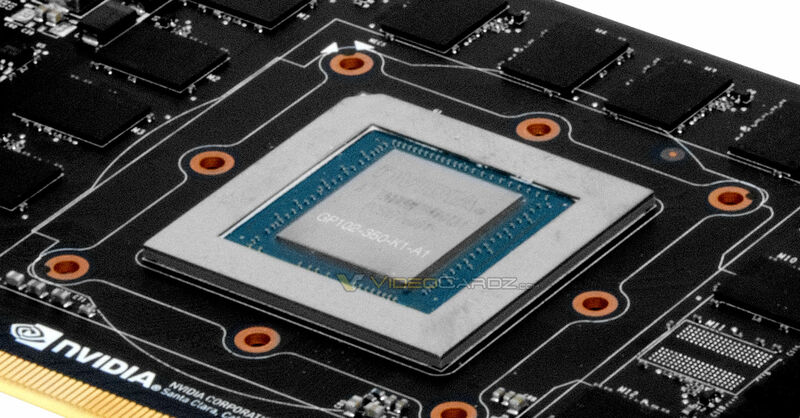 There are a few inductors and MOSFETs missing on the Titan X PCB which are added to the 1080 Ti PCB. 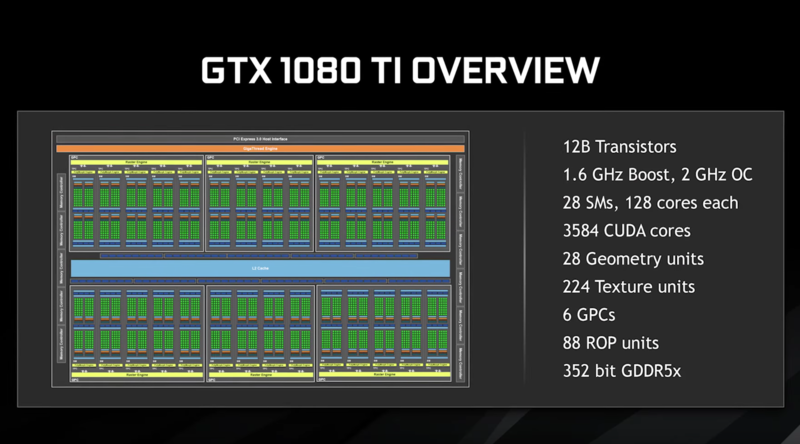 This shows that the 1080 Ti isn’t making any comprise on the PCB and we can expect some major OC’ing performance and stability out of the card. The other major differences include a missing memory chip as it has been confirmed that the 1080 Ti features 1 less GIG of VRAM compared to the Titan X. There’s also no DVI port added to the board however we have already seen custom models that are equipped with DVI ports.